Dim fd As FileDialog ‘Declaring ‘ fd ‘as a variable FileDialog object..
With fd ‘We use the With … End With to execute a series of instructions with the FileDialog object. ‘we begin a For Each Next loop that you need to scroll through the Folder Set (the Colletion of the FileDialogSelectedItems) in the browse window. Exit Sub ‘Let’s get out of the routine. 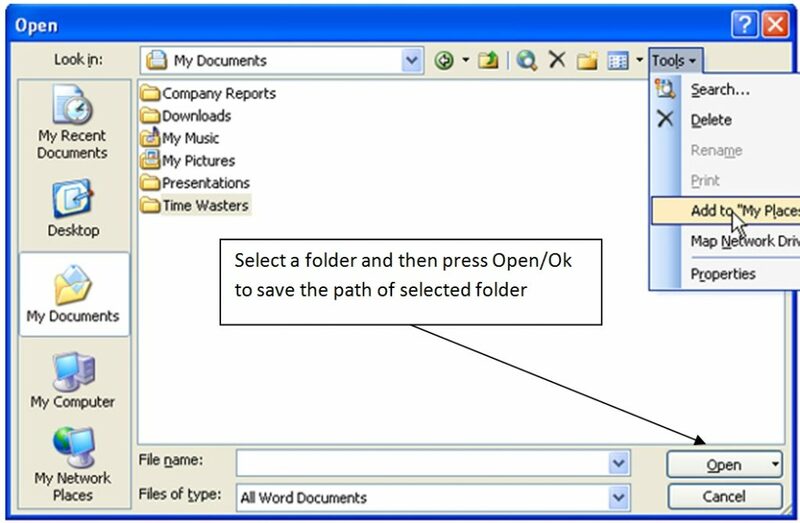 ‘The previous routine is used to save the full path that targets the folder with files that we want to make the list, and now we use the CreateObject function to scroll and read all the file names in path “myFolder”, with a For Each Next loop we read the name of each file and by means a ‘While..Wend loop, we look for the first free cell to write that file name. It all happens automatically. Next ‘Continue the loop until the end of the files in the selected folder. Dim fd As FileDialog ‘Declaring the variable’ fd ‘as a FileDialog object. If .Show = -1 Then ‘if the condition occurred, then …. ‘we begin a cycle For Each Next needed to scroll the set of files that we have selected in the browse ‘window – you can also select non-contiguous files by holding down the’ CTRL while selecting files. ‘FileSelected is now a string that contains the path (path) of each selected Item (.In SelectedItems) and for each FileSelected we begin a While..Wend loop that searches for the first free cell and writes us name and path. This entry was posted in Excel & VBA tips and tagged 1- msoFileDialogFilePicker, 2- msoFileDialogFolderPicker, FileDialog, files, Folders, list, msoFileDialogFilePicker, msoFileDialogFolderPicker, msoFileDialogOpen, msoFileDialogSaveAs, MsoFileDialogType, VBA. Bookmark the permalink.